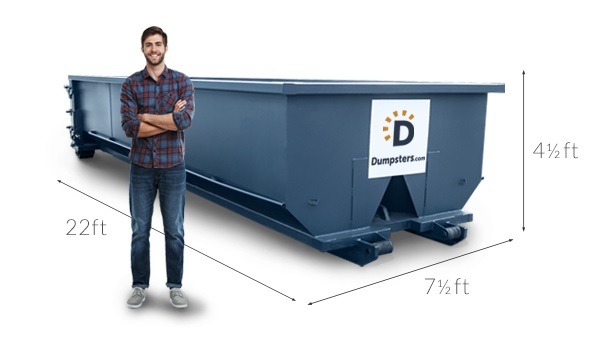 Dumpsters.com provides professional, fast and convenient residential dumpster rentals to homeowners planning a big project. Our range of roll off dumpster sizes simplifies cleanup for anything from household decluttering to kitchen renovations. We haul most debris types and work with your schedule to keep your project on track. Use our remodeling dumpsters to easily get rid of flooring, tiles, doors, siding and more, plus construction debris such as shingles and concrete. From decluttering your basement to emptying out the garage, renting a dumpster provides a convenient option for large-scale junk removal. A dumpster will make quick work of yard debris like dirt, shrubs and limbs that normally can’t be left at the curb. Don't see your project listed here? Not a problem. Give us a call and we’ll find a house dumpster for whatever you’re planning. What Does a House Dumpster Rental Cost? The most commonly rented container for home projects is a 20 yard residential dumpster, which costs an average of $424. Exact pricing for house dumpsters depends on five factors: dumpster size, the weight and type of the debris, the length of your rental period and where you are located. 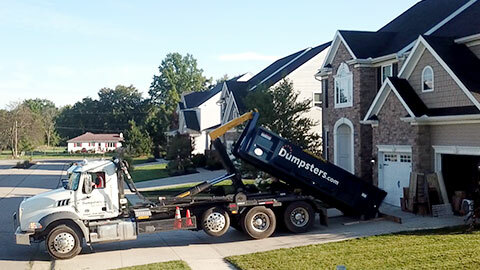 Our home dumpster rentals all include flat-rate pricing, giving you the total cost upfront. Call our experienced team to talk about your project, select the best residential dumpster size and schedule your delivery. Pro-Tip: Plan ahead for your residential dumpster rental. Call at least 2-3 business days in advance to ensure your container will arrive before your project start date. Be careful not to overload the container or pile debris too high. Avoid tossing in prohibited items that could result in extra disposal fees. When you’re done, call us to get the dumpster picked up. You can also schedule a swap out if you filled you container up before the job was done. Use signs to let your neighbors know not to add anything to your container. Their debris could push your dumpster over the weight limit or include a prohibited item. We won’t automatically pick up your container. Mark your calendar for the last day of your rental agreement, and call our team anytime on or before that day to avoid late fees. If you have an item you’re unsure about, give our team a call before tossing it. We’ll let you know if that item is accepted or not. A renovation dumpster is often placed in a driveway so it’s easy to toss debris while you work. In some areas, you can choose to have your dumpster set in the street, but keep in mind that you may need a permit from the city. We provide dependable home dumpster rentals to keep your project on track and your cleanup process easy. 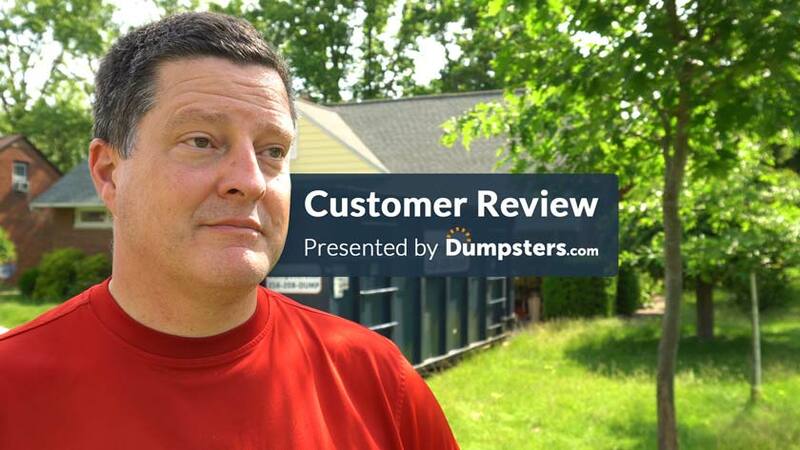 With Dumpsters.com, you’re not just getting a dumpster. You’ll enjoy quality service you can count on. Our expert staff will advise you on choosing the right dumpster size for your project, preparing for delivery and pickup, and every other aspect of the dumpster rental process. Ready to order? Get in touch with our team.